Program #WEXH001. Recorded in Taos, NM on April 4, 2002. 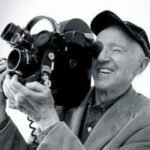 Haskell Wexler recounts his experiences starting in 1946 as a filmmaker and cinematographer. “As the Cold War developed unions were decimated, all the unions that were active in favor of their workers were denuded off their militancy by calling them Reds. I jumped at the opportunity to work on John Sayles’ Matewan. To this day I feel it is one of the most important things I’ve ever done.” As to films with a message, studio mogul Sam Goldwin sarcastically said, “If you want to send a message go to Western Union.” Wexler adds, “No one speaks of bourgeois films or capitalist films. We’ve been fed a perverse ideology: the feeling of powerlessness and cynicism.” Describes the long hours and tough working conditions on the set. How does the employer look at the worker? You are a machine that they rent and they will stoke you for food and you keep working. They own us. They own our lives.” John Sayles quotes blacklisted actor Zero Mostel comment on Elia Kazan’s On the Waterfront: “A movie written by a rat directed by a rat about a rat.” Citing Barbara Ehrenreich’s work, Sayles says, Hollywood movies have shadowed this idea that we are a classless society which we’re not.” American movies “sidestep class.” We as a society “don’t want to deal with it.”On the panel is also Kristi Jacobson, a young filmmaker, who talks about her documentary on truck drivers. Haskell Wexler was one of the great cinematographers of his era. He was known for his signature use of contrasts and shadows. He was colorblind, so he worked differently from cinematographers. He was an active union member and a staunch defender of worker’s rights. He was a multiple Academy Award winner. He directed the classic Medium Cool. He worked with John Sayles on Matewan, Eight Men Out and other films. He died at the age of 93 in 2015. He was a great friend to me and Alternative Radio. I met him in the mid-90s when I spoke at a bookstore in Santa Barbara. He would often call me after hearing an AR program to discuss it. He had a wonderfully infectious laugh. I miss him. 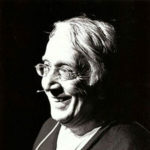 – David Barsamian.